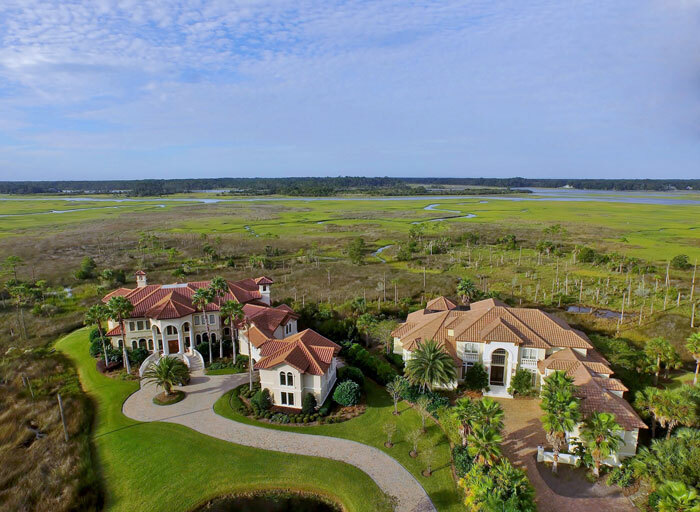 Marsh Landing is a country club community located in Northwest Ponte Vedra Beach between J. Turner Butler Boulevard and Solana Road to the west of A1A. Marsh Landing, a gated and monitored community with security guards at each entrance provides easy access to Jacksonville and the beaches. Spread across 1,700 acres, Marsh Landing maintains the natural beauty of the marshlands the community is named after. Preserving native habitat and allowing for the maximum enjoyment of the Florida lifestyle is just one of the many amenities Marsh Landing offers. The Marsh Landing Country Club is separate from the community and membership for residents is optional. Aside from the use of the fitness center, swimming pool, ballroom, bar and lounge area, members can enjoy fine dining in the 17,000 square foot club house and year round events for all. Golf enthusiasts will appreciate the 72 par Marsh Landing Golf Course designed by Ed Seay, the golf pro shop and adult golf associations. There is also a tennis pro shop, ten Har-Tru tennis courts and year round programs for both adult and junior tennis players. Another benefit of Marsh Landing is its close proximity to area restaurants, shopping and J. Turner Butler Boulevard. As one of the major arteries of the First Coast, JTB easily connects to I-95 and 295 making for an easier commute to Jacksonville. The community of Harbour Island in Marsh Landing is designed for boat lovers and has easy access to the Intracoastal. Each home in this boating neighborhood includes a private boat slip at the Marsh Landing docks. 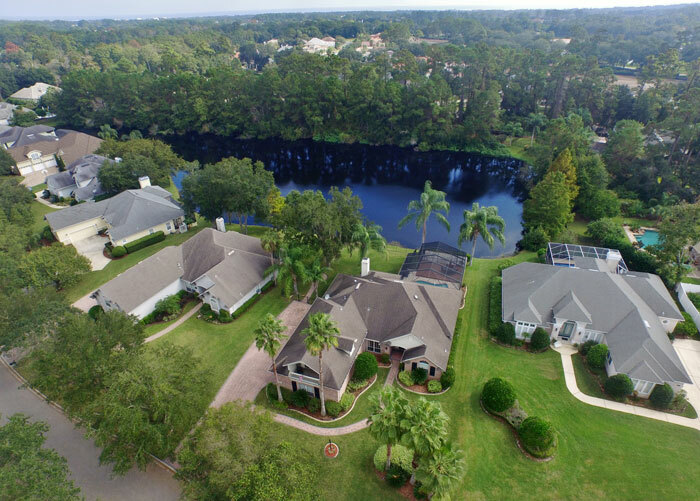 This impressive community can be seen easily from the air and the water and forms a literal harbor filled with grand yachts and lined by incredible estates. The community’s common areas have undergone several improvements in the past 5 years with more infrastructure and architectural improvements on the way. Recently, new lighting was installed along the parkway, new pavers laid at the north entrance and refurbishments and improvements were made to the drainage and pump systems. The community’s commitment to improving and updating the neighborhood makes a home in Marsh Landing a worthy long-term investment. Marsh Landing is something of a small town all of its own. Nestled in 1700 acres, the original founders of the community had the foresight to preserve as much of the natural beauty of the marshland as possible. This means that despite the large number of homes in the community (more than 1,000 currently), there are many expanses of remarkable Florida habitat that remain untouched for Marsh Landing homeowners to enjoy with their families. Whether you stroll the oak-lined streets of the neighborhood or jog along the wooden boardwalks installed to allow residents to enjoy the marsh, you will soon understand why preserving these habitats has been such an important part of growth of Marsh Landing. Within the community there are several impressive amenities aside from the Marsh Landing Country Club. The community includes two neighborhood parks, sports fields and nature paths. The two-acre Fletcher Park features a playground, soccer field, volleyball court, restroom facilities, pavilion and running track. The smaller community Osprey park offers a playground and basketball court. Marsh Landing Country Club is a separate entity from the community and membership at the club is optional for residents. Visit the Club, however, and you’ll understand why so many Marsh Landing homeowners are members at the Club. The Country Club opened in 1986 and is home to a par-72 golf course, tennis courts, golf and tennis pro shops, a fitness center and swimming pool. Members also enjoy fine dining and year-round events for adults and children at the country club. Golfing at Marsh Landing Country Club is nothing short of superb. The Marsh Landing Golf Course was designed by Ed Seay, business partner of Arnold Palmer and designer of The King & The Bear in St. Augustine, The Golf Club at North Hampton as well as the Sawgrass Country Club golf course, former site of THE PLAYERS Championship. Marsh Landing’s location gives it privacy from major traffic in the area, but its proximity to J. Turner Butler Boulevard makes it a quick drive to many major areas. If your travels take you beyond the First Coast, it’s quite easy to hop onto JTB and follow it as a straight shot to Interstate 95—connecting the First Coast to the rest of the East Coast. Marsh Landing is just 5 minutes away from the nearest grocery store, Publix, and less than 15 minutes from the Fresh Market on A1A. Shopping and dining is made easy by highly-rated restaurants along A1A such as Ruth’s Chris Steakhouse, Pusser’s Caribbean Grille and Restaurant Medure. A Marsh Landing home is also a great choice for those needing quick access to the best healthcare facilities or those who work in the healthcare field. The community’s location gives it quick access to the famous Mayo Clinic, which is just across the Intracoastal Waterway via J. Turner Butler. To the north along A1A liesBaptist Health of Northeast Florida’s Beaches location. Families in Marsh Landing enjoy schools in the A-rated [St. Johns County school district]. This district is widely acknowledged as one of the best in the state of Florida and provides a wide range of opportunities for all students, whether they are interested in early career advancement or professional sports preparation.